Where should we send your artwork? Do you want to own some unique art AND support a good cause? We have the perfect opportunity for you! 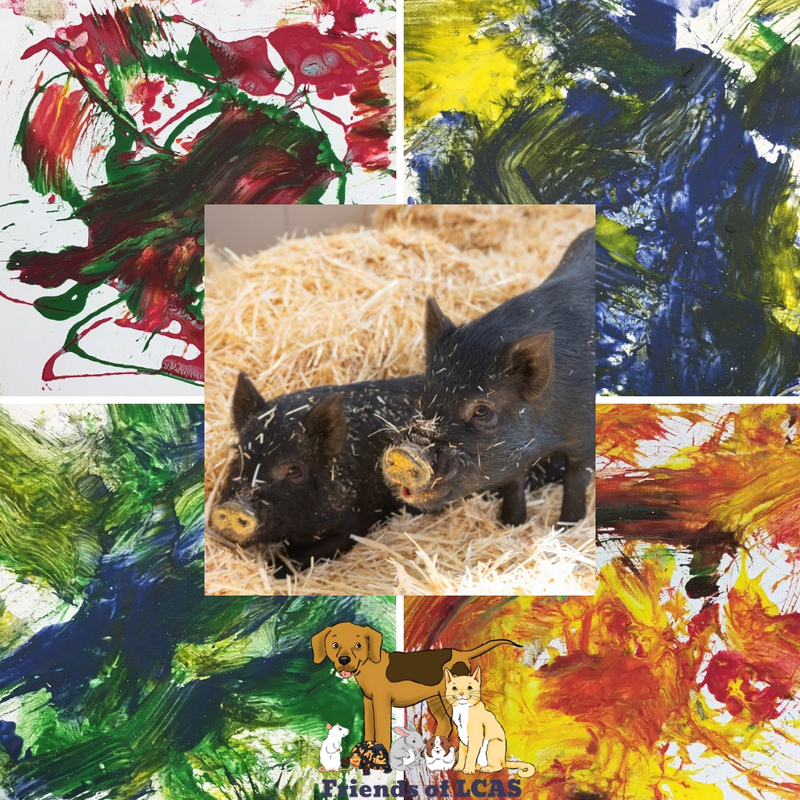 Osquealia and Porkloinius, two pigs who were recently adopted from LCAS, lent us their talents and created artwork for us to raise money for eight pig spay/neuter surgeries. These are limited edition portraits, and each one comes with a picture of the pigs on the back. These pieces are sure to be great conversation starters, so don't miss out on your chance to own an original creation!